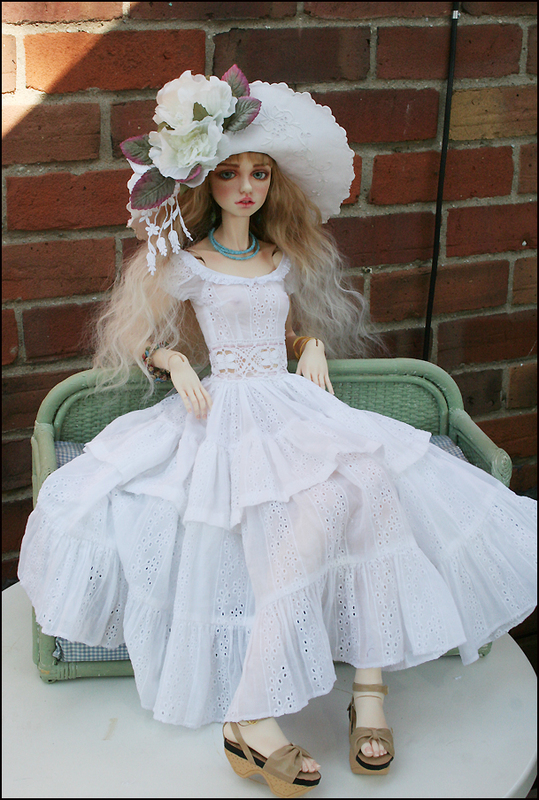 When I first received the 18 year Dollstown body for my Estella (natalia) I was obsessed with making outfits for her. My sister Kim made her shoes to match many of them. I actually love the bigger size but do find her awkward to handle. 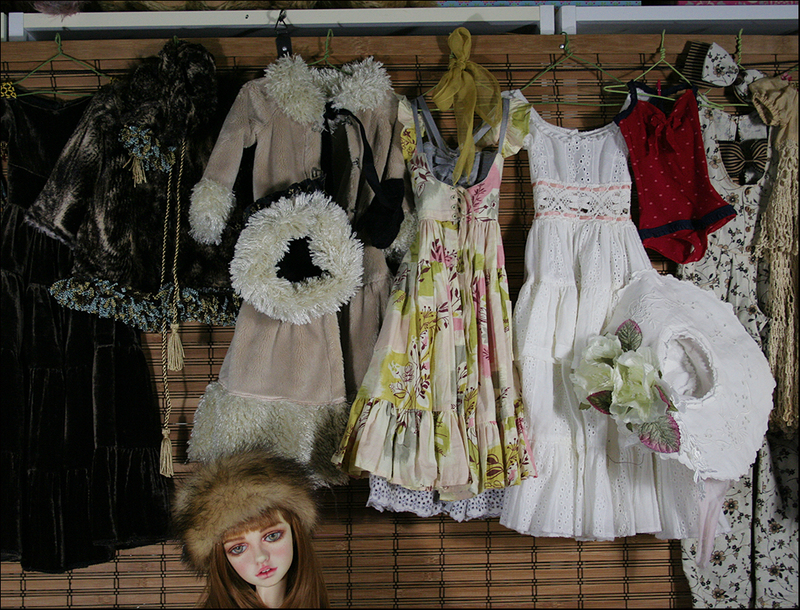 Yesterday I opened her box of outfits and hung the all up. It was fun to see them all together.Sometimes I really wonder why I love these dolls so much and creating outfits for them. 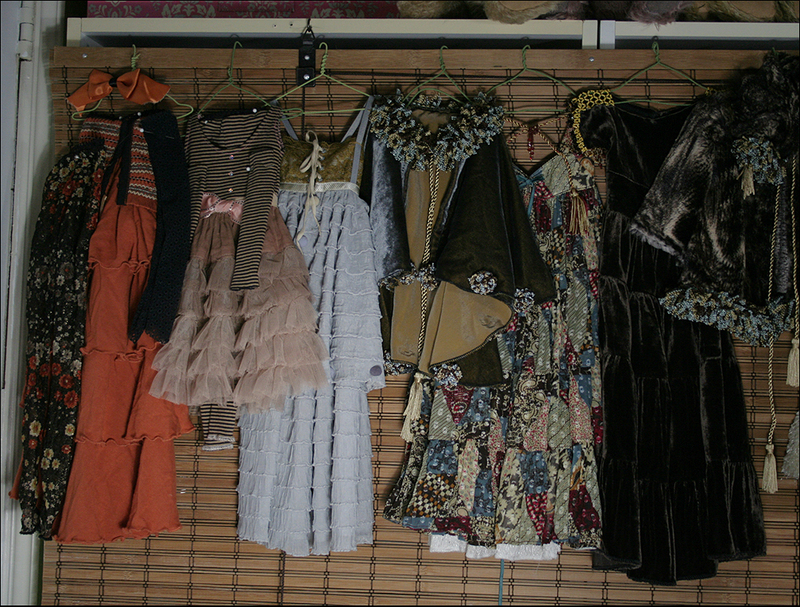 I never had a daughter (I have two lovely sons) so maybe that is part of the answer.I also love fashion as a art form. I do think it’s better to just enjoy what our desires bring to us and not question it to much. 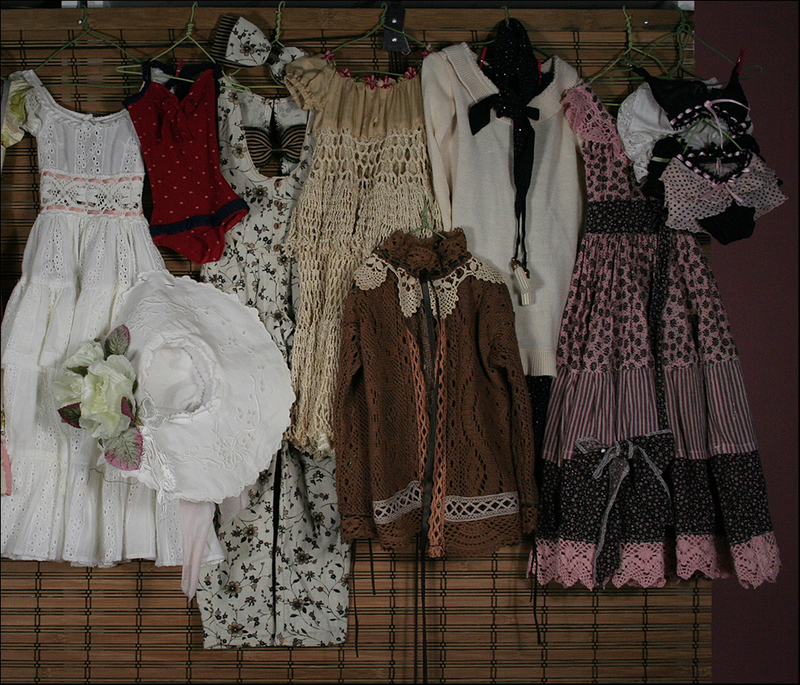 Here are pix of her in these outfits done at the times I made them for her. 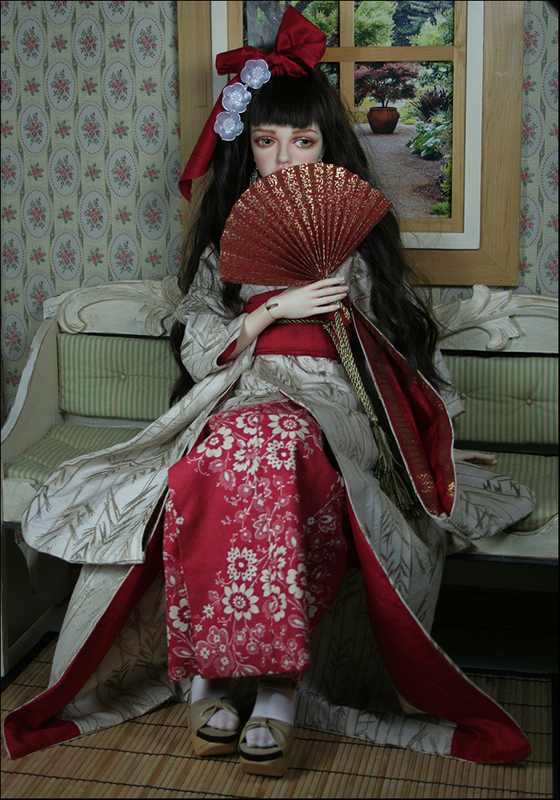 I’ve been inspired by my new girl Lissa who has lead me to investigating Geisha culture. I have done a few Lissa’s now in Kimono. Tomorrow I will post one for preview and then for sale on Saturday. Her is a sneak preview of the preview. . 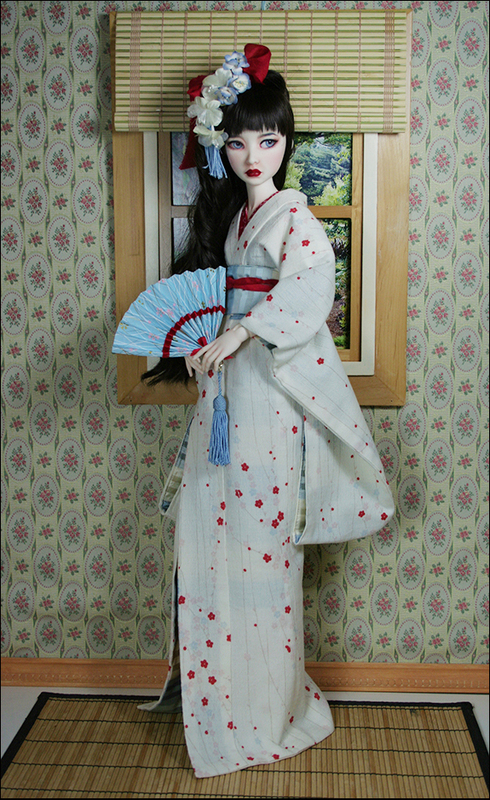 I have also made a beautiful Kimono for my 18 year Dollstown girl.She is Estella but I call her Natalia. One more wonderful piece for her growing wardrobe. Then she needed a parasol and fan which I made from Japanese origami paper. It has been a lot of fun doing something a little different for a change. To be sure I’m not done yet.